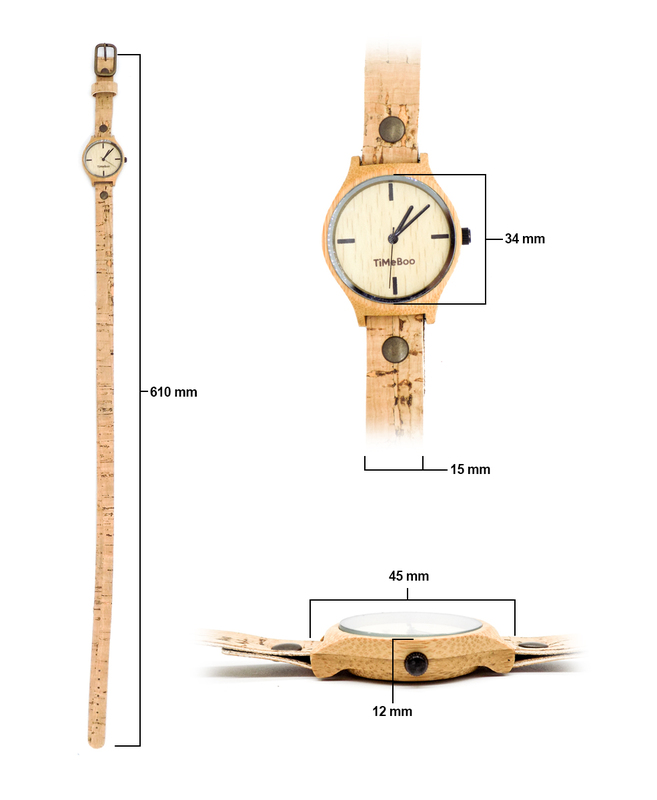 Produktinformationen "Feel-Good-Bambus-Watch | natürlich vegan fair - Damenuhren | groß"
Die Armbänder bestehen aus natürlichem Kork und variieren etwas in Struktur und Farbe. This will make everybody happy. 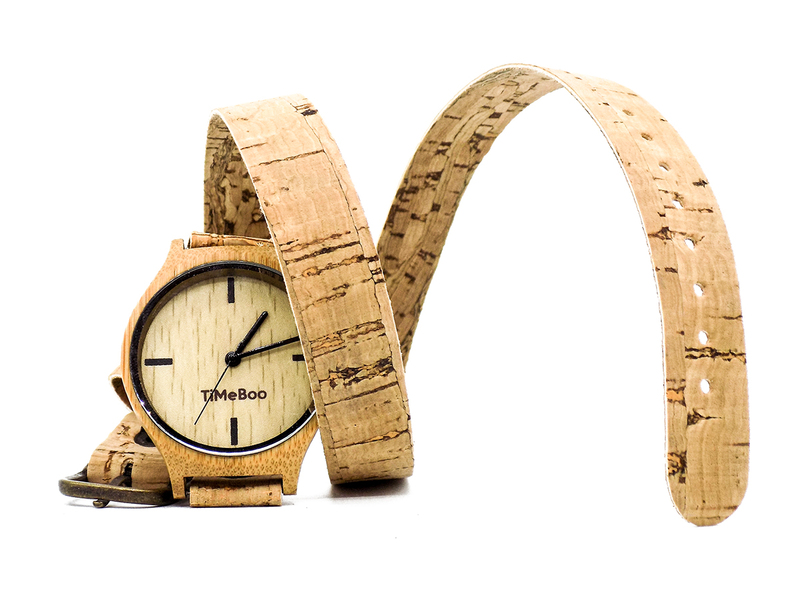 A bamboo clock with a band of cork. Animal friendly, people-friendly, even without irritation on your skin for the sensitive wrists. Simple and beautiful. 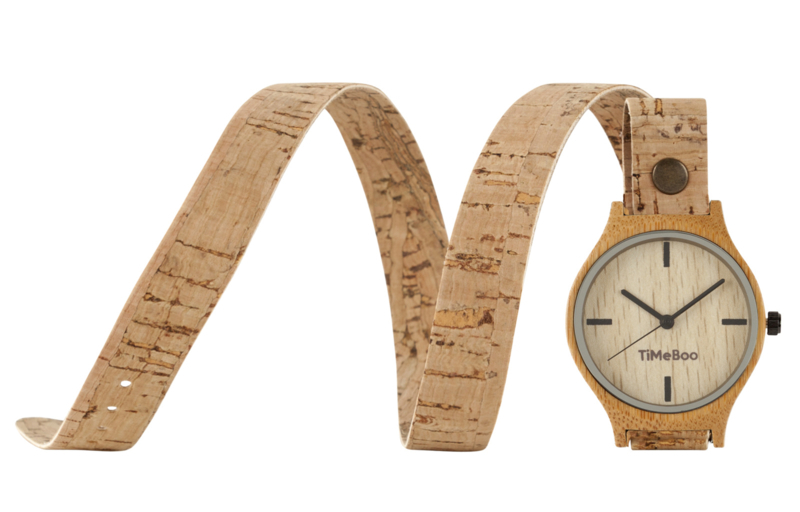 Cork is, like bamboo, a pure and natural material. The Cork comes from Portugal. It is a strong material, totally biodegradable and naturally water repellent. 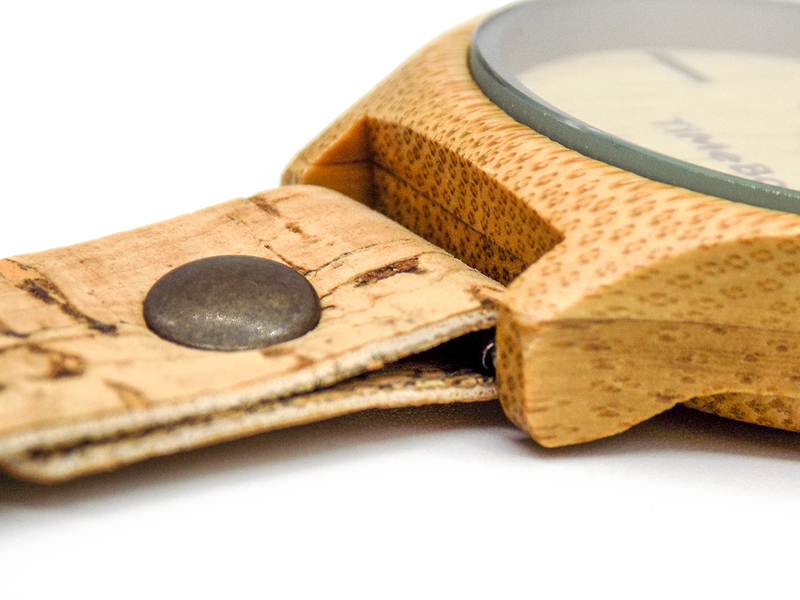 Light in use, as well as the bamboo, you can hardly feel the watch around your wrist. The combination of two natural materials combined delivers more than the sum of its parts. 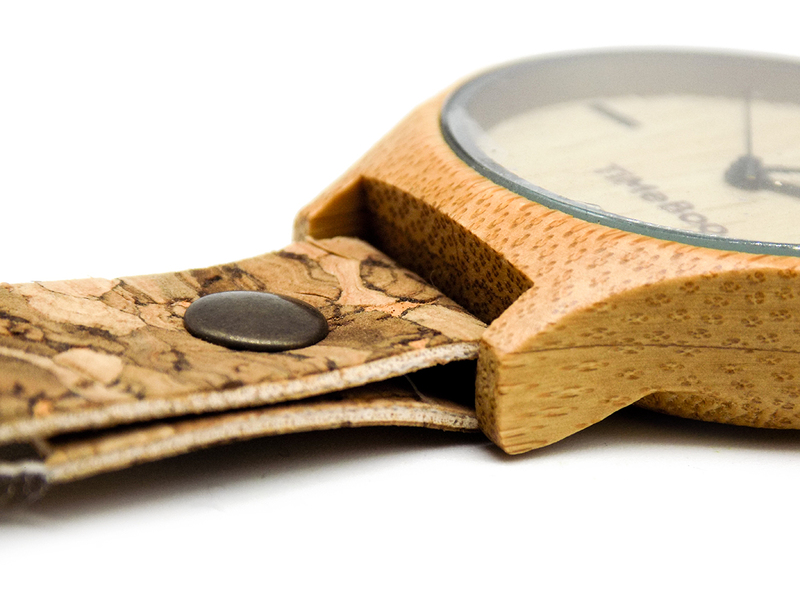 The result is a unique watch with a warm ' feel good ' feeling. Sounds good, right? The straps are available in single, double and triple straps. Shown on picture is the 'single ' version. With the double and triple version, you can wrap the strap 1 or 2 times extra on your wrist. 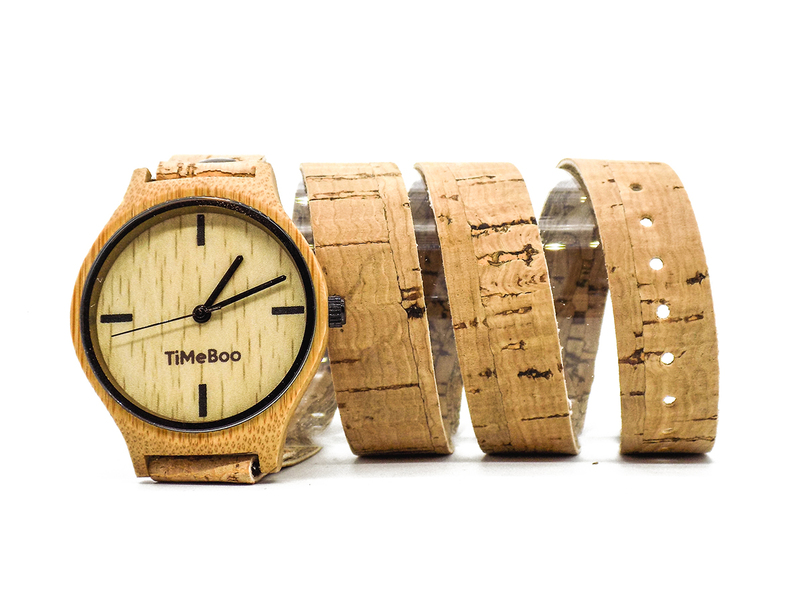 The cork is available in 4 different designs, you can find them on the designcard below. Weiterführende Links zu "Feel-Good-Bambus-Watch | natürlich vegan fair - Damenuhren | groß"